The flavor: Well, butter and cheese are always good. But it wasn’t that interesting, just buttery and cheesy…nothing more. The presentation: Look at that pic and decide for yourself! It’s called a puff. I don’t know where I went wrong. Enlighten me if you’ve got the secret. Butter one side of each bread slice the cut them into thirds. 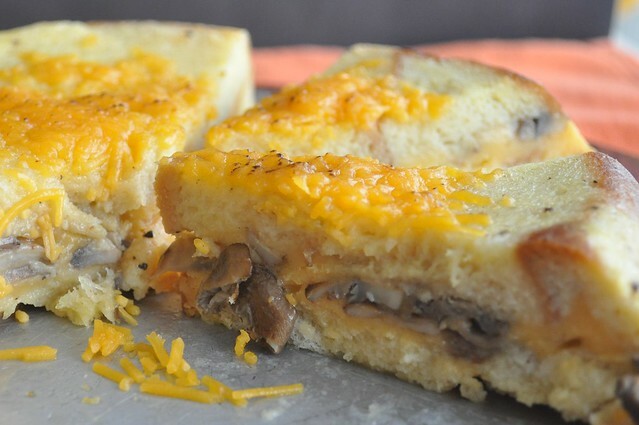 Place half of the bread into a well buttered 1 1/2 qt baking dish. 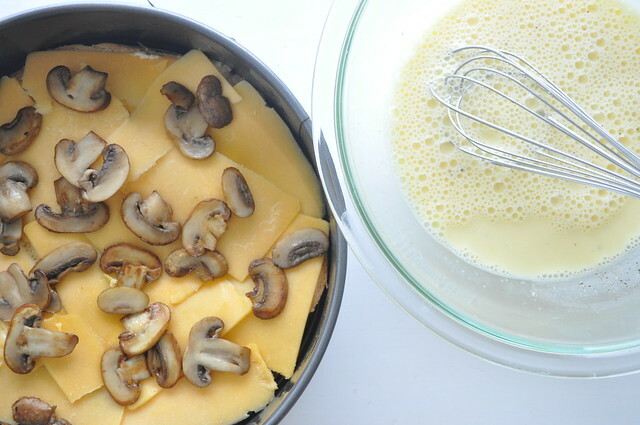 On top, layer 1/2 of the cheese and 1/2 of the mushrooms. 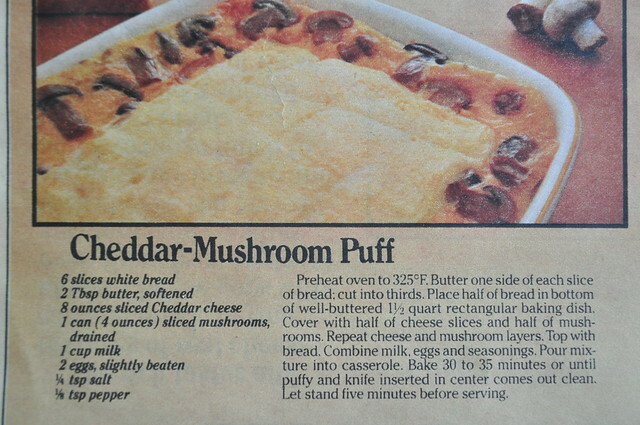 Repeat with remaining cheese and remaining mushrooms. Top with remaining bread. Those mushrooms were sautéed perfectly. Such a disgrace to have wasted them here! 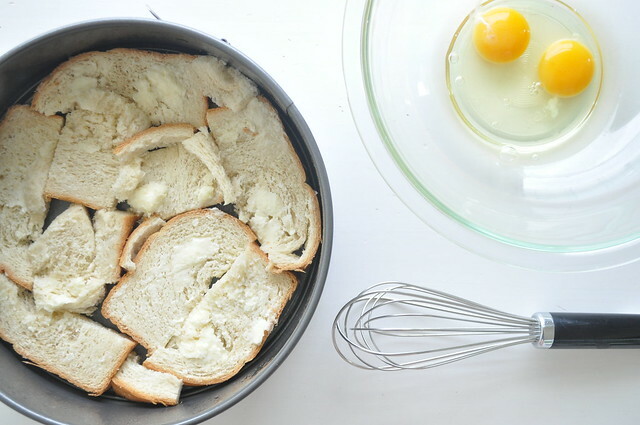 Buttered bread in a buttered pan….sounds like a good idea. Right? To the graveyard, but they look so good. Hi Shreyashi! Thanks for the feedback. Having the nineties as a cutoff is why my project has so many challenges!